Cloud Atlas, the new movie from Andy and Lana Wachowski and Tom Twyker starring Tom Hanks and Halle Berry is a visually stunning confluence of tales that are viably woven together, thus creating a linkage between the characters that surpasses both time and destiny. 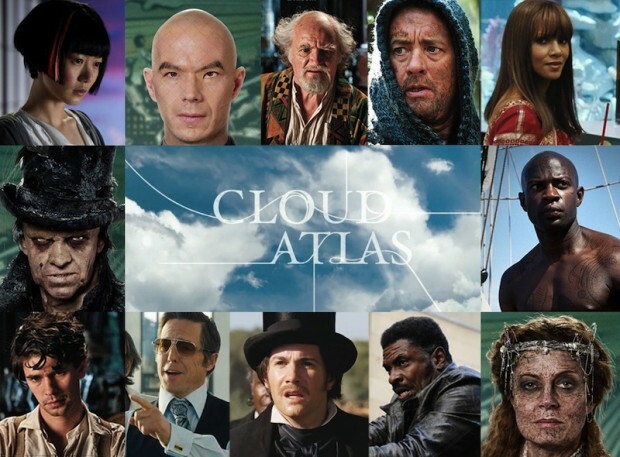 Based on the 2005 novel by David Mitchell, Cloud Atlas is resiliently demanding when it comes to a thriving melting pot of multi-dynamic roles and transient storylines. This would be a dreamboat for racially ambiguous actors that actually fit the bill. The Media Action Network for Asian Americas (MANAA) expressed their disappointment and frustration at the glaringly poor representation of Asians in a film that definitely warranted a level of precision and accuracy in the casting department. They released a statement that read, “In the modern age of movie makeup, it is disturbing to see poorly done Asian eye prosthetics to make Caucasian men look Asian”. The actors that failed to rise to the occasion include lead actor Tom Hanks, Jim Sturgess, Hugo Weaving and James D’Arcy. Based on the trajectory of the plot, which required a setting installed in 2144 South Korea, each actor had to be wistfully configured to resemble an Asian male. This bold attempt was evidently not successful enough to appease Guy Aoki, founder of MANAA, according to Aoki, “ Cloud Atlas missed a great opportunity. The Korea story’s protagonist is an Asian man – an action hero who defies the odds and holds off armies of attackers. It would have been great, stereotype-busting role for an Asian-American actor to play, as Asian-America men aren’t allowed to be dynamic or heroic very often”. This is a sentiment that most ethnic actors can relate to but unfortunately since Hollywood is essentially a business, making money is the overall agenda. Sacrifices have to be made in order to assuage the temperament of confirmed investors. So if Tom Hanks has to endure a supremely tacky makeup job in order to embody the spirit of a futuristic Asian warrior, then that will unapologetically come to pass. Money can’t buy everything, but it can turn Caucasians into Asians overnight!